New trend for live poker festivals? When it comes to live poker, there has always been a certain level of media bias towards tournament formats. It’s so much neater and easier to write headlines if you have a tournament, a buy in, a winner and a photo of them standing next to a pile of cash holding a trophy aloft. In so many popular sports we are used to either seeing an individual or a team after they triumph in a competition. But cash games blur the lines, as multiple players will often win to differing degrees. It would be easy to dismiss cash games as less marketable than tournaments, but you only have to look at the success of TV shows such as High Stakes Poker to see that there is a fascination and a demand for this type of viewing. While it’s true that most poker festivals also run cash action on the side, the Cash Game Festival tour has decided to put Cash Games at the center of its offering. The festival features televised tables and a large variety of stakes and formats. Stops on the Cash Game Festival have been popular so far, and could potentially go on to become just as marketable as major tournaments. Aspers Casino in London is just one venue fully embracing the idea of cash games in a festival format, and is set to host its second Cash Game Festival stop between September 28th and October 2nd. The festival will consist of non stop 120 hour cash games, and will attract many competitors, with at least 30 tables expected to run simultaneously. A large number of non-poker activities are also included to schedule of the event. London is not the first stop for this unique tour, as it has already been to Malta and Bulgaria. The Estonian city of Tallinn is also scheduled as a future stop. The Ipoker network is ready to become the home of the online edition of the Cash Game Festival, with the debut date for that event being October 24th. It will run until October 30th. Most of the major poker rooms operating on I-Poker, including Bet 365 Poker, William Hill and Coral, have already confirmed their participation. The online festival will also see a variety of games including the recently launched 6+ Holdem. 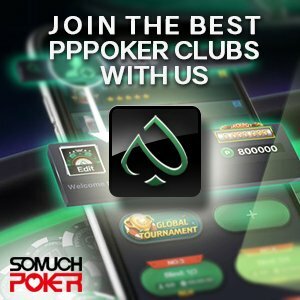 Having an online partner like Ipoker will undoubtedly help the concept gain popularity in the months ahead. More details will be announced in the coming weeks.